The lack of muscle tone overnight causes a collapse of the upper airway musculature which prevents a proper entry of air into the body. The reason of having OSA disorder is multifactorial, including anatomical and physiological factors. It is known that the lack of function of the dilating pharyngeal muscle is one of the main reasons. The completion of isometric and isotonic exercises with oropharyngeal muscles enables the recovery of those muscles and significantly improves the obstruction. It is for this reason that we decided to create AIRWAY GYM. With this app we want to increase the adherence of our patients to a training with the muscles of the upper airway. 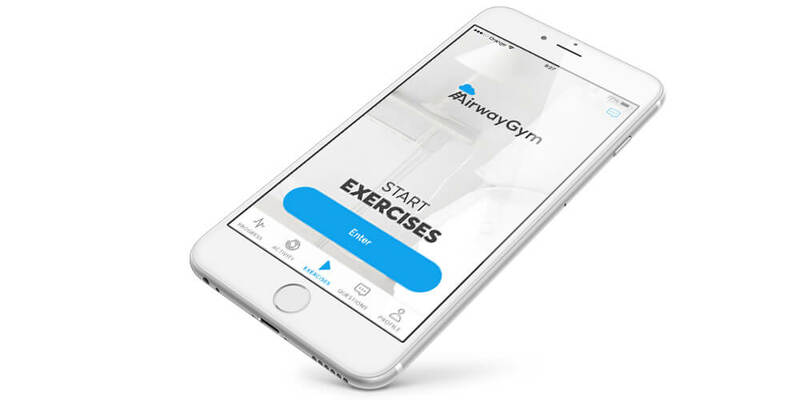 Airway Gym allows our patients to have feedback on how they perform the exercises with their mobile phones and to inform their trainers on a regular basis of whether they have performed them. Airway Gym offers a series of exercises to do on a daily basis. 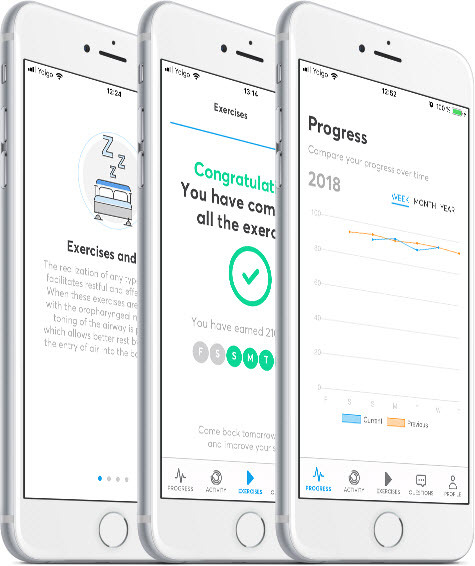 The personal trainer can easily track and control your activity. Moreover, you will be able to communicate without having to share your personal telephone number.